Xtra Sharp Fruit Flavor: Wholesale Energy Drinks, Herbal Best Energy Drink for when you need Focus! For when you need to be on top of your game! Best of natural energy drinks that lasts for eight hours, to make sure you stay alert when writing exams, driving a car or truck and need to make sure you are awake! Best quick pick-me up without added sugars! 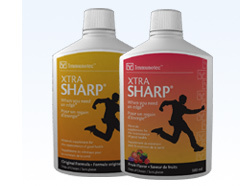 Xtra Sharp from Immunotec is an all-natural tonic designed to put the bounce back in your step! An exclusive blend of herbs and minerals gives Xtra Sharp its real "kick". Just one "shot" does it! Xtra Sharp comes in a 16 oz (500 ml) bottle that's easy to put in your desk or in your car, to last for when you need it. But it's so much more: Find out more about Xtra Sharp! Xtra Sharp Fruit Flavor is a pick me up energy drink that is good for you. Xtra Sharp gives a slow, steady and more sustained stimulant that you get from the "jolt" of coffee or cola, with guarana. Guarana has been known to help appetite suppression, increase fat-burning ability, and provide relief from migraines. Healthy minerals and herbs make Xtra Sharp the best energy drink with herbs for mental alertness as well as for well being! Convenient - easy to take with you in a compact bottle of 500 ml (16 oz) that lasts! No need to go to the convenience store for more -- order these wholesale energy drinks to have with you in your car or desk! 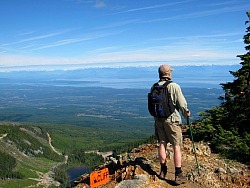 Best of natural energy drinks that's concentrated and not bulky to carry around. Take a quick "shot" and you will feel the difference within minutes!